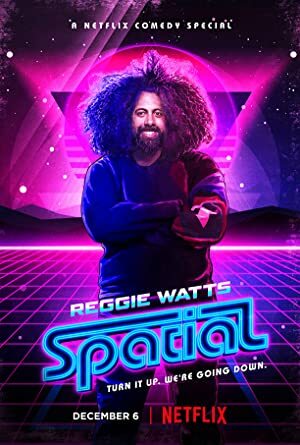 Reggie Watts: Spatial (2016) – What's New on Netflix Canada Today! The comic innovator delivers a surreal set blending experimental songs, jokes about grits, guns and drugs, and other improvised comedy adventures. Off the cuff. Out of this world. Blowing minds with music, stand-up and improvised scenes from the sitcom in his mind.